Two of our friends recently had baby girls and I wanted to make something utterly girlie. 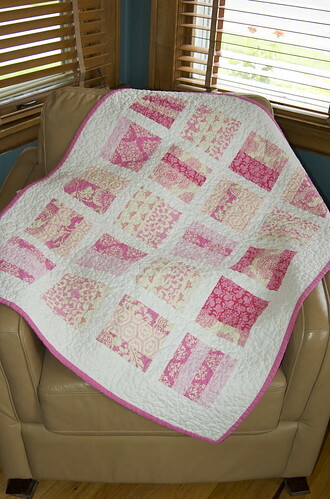 I used various pink fabrics and Kona Cotton "snow" sashing to piece them up. 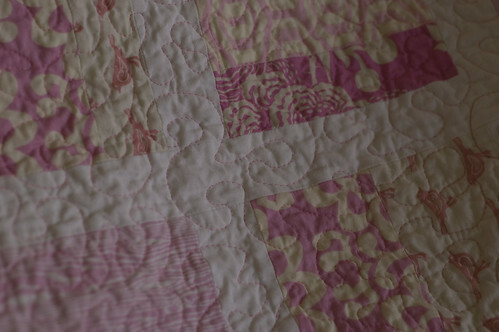 The quilts are almost identical except for the binding and quilting. 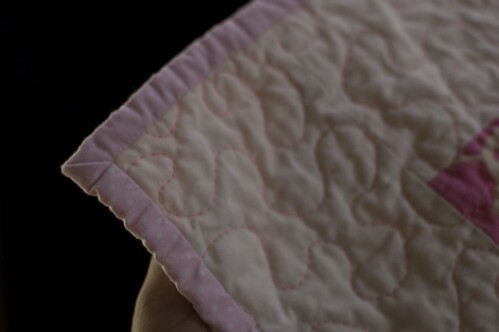 Quilt 2 - Pink Cotton Stippling with soft pink polka dot binding. I love how the pink shows up on the white sashing. Quilt 3 - Sparkly Stippling with Sulky Sliver Metallic thread (Metallique) and hot pink polka dot binding. The sparkle is really quite subtle on the white/pastel background. I made both these quilts from the Oh Fransson Mix Tape Quilt Pattern (Favorite Songs Version). I followed the directions and modified the size slightly. I had enough fabric with careful cutting for 2 quilts - which is why they're almost identical. I will definitely be making this quilt again. 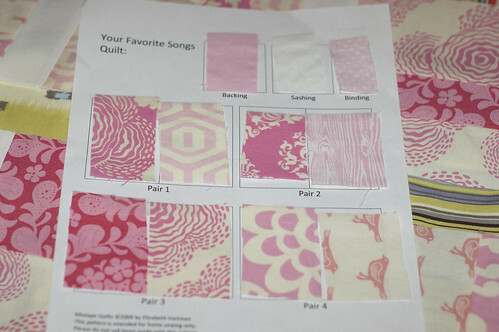 The pattern has instructions for 3 different quilt sizes with several variations for number of prints and scraps. I don't know if I can say enough good things about it. Since it's a PDF pattern, it's over 20 pages long with pictures and diagrams for every step. 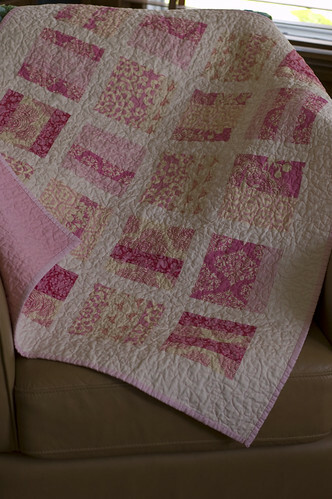 For a quilting beginner, it's a pattern you can master with confidence and grow with. Below is an example of the how genius Oh Frannson is - she includes a sheet to organize your fabrics to make block making easier. (I put mine in a page protector in my sewing binder for future reference - very helpful when trying to remember what fabrics you used). Great job!!! 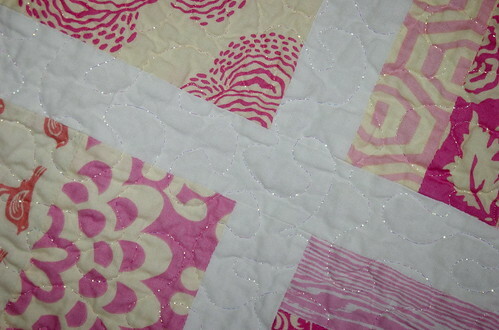 I really like the metallic thread and how it looked on the quilt. The material was colorful and made it interesting.